McNeill Heating, AC & Seamless Guttering understands how important cool, comfortable air is to your daily life. Our HVAC company is family-owned and -operated in Marion, IL, and we’ve been performing professional air conditioning repairs in this region for more than two decades. We offer accurate, written estimates and flexible financing options in addition to our competitive rates. 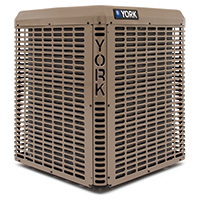 Our company provides cost-effective maintenance plans that are designed to keep your AC system in optimal condition. We also perform maintenance and repairs as needed, and you can always count on our knowledgeable HVAC technicians to arrive on time with all of the equipment and supplies needed to complete the job in a reliable manner. McNeill Heating, AC & Seamless Guttering has earned many loyal clients throughout the Greater Marion area, and we’d like to make you the next one. Whether you need air conditioning repairs right now or just have questions, call us today. We offer convenient hours and flexible scheduling throughout the workweek, and we are even available for after-hours HVAC service.